I think I’ve known Kelly since I first started blogging. We somehow “met” when I was still living in California. I think it was our black dining room walls that started our first email exchanges. I asked Kelly if she would do a Christmas House Tour on MLT and she said yes! I love Kelly’s style and everything she does. It’s all about the details and of course a lot of white! 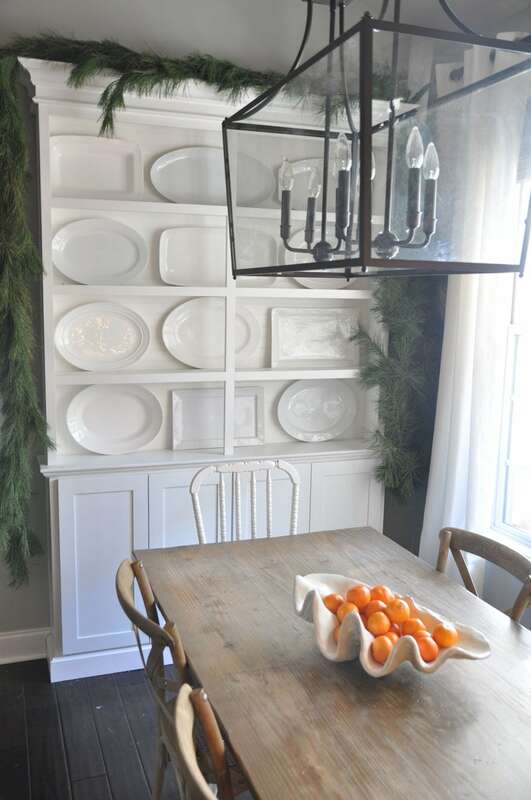 My favorite thing in Kelly’s house is her built-in hutch with white plates and platters on four shelves. In front of it is her kitchen table and at the end is a white child’s chair that was once her daughter’s and is now her sweet little boy takes this spot at the table. She uses it as a backdrop for holidays that include Christmas, obviously and the kids birthdays as well as the 4th of July and Halloween. Every time I see it, my heart skips a beat. 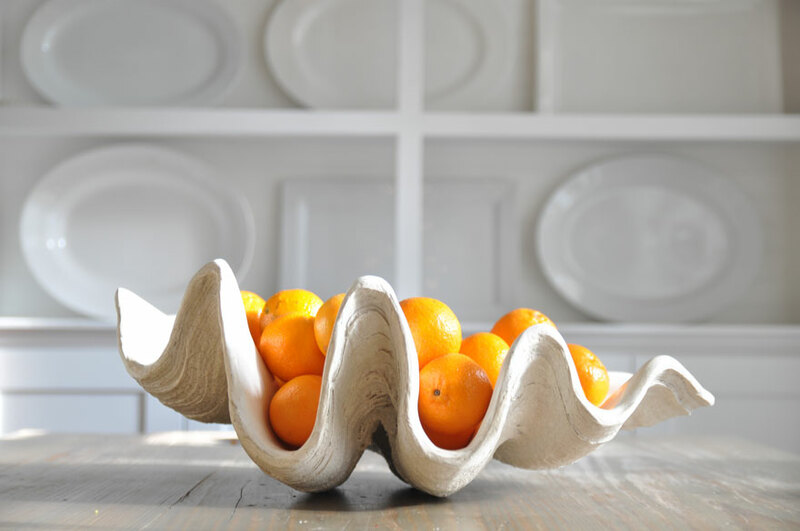 Winter citrus makes the perfect holiday centerpiece. 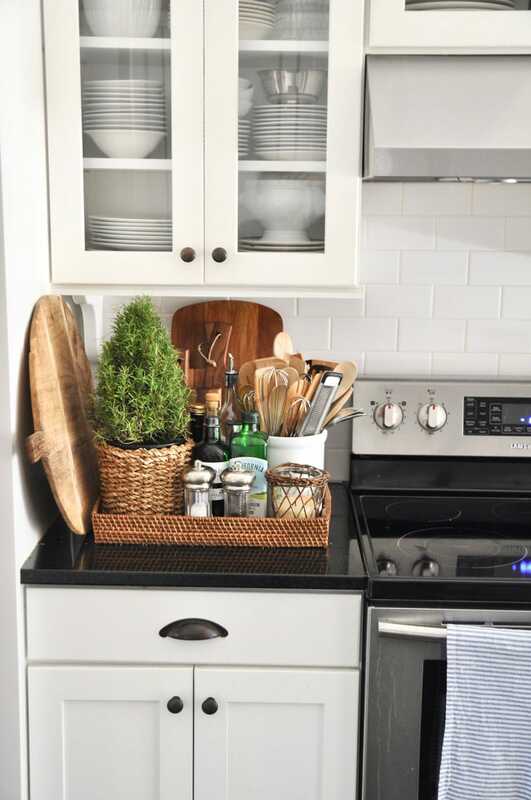 A basket beside the stove warms up an all white kitchen while storing items you use everyday. I love that she has a potted rosemary tree for the holidays. 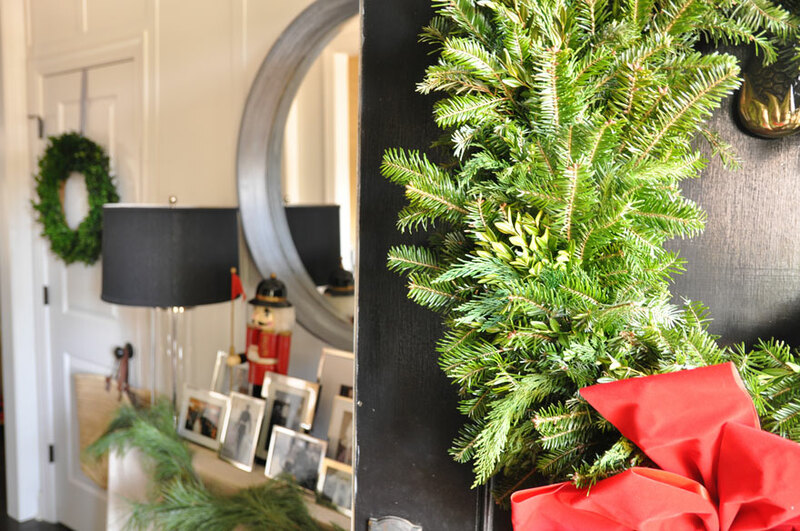 Kelly says she like to keep her holiday decorations pretty simple, but always uses fresh white pine garland and a couple of Rosemary topiaries in the kitchen along with the clementines in her clam shell on the kitchen table. 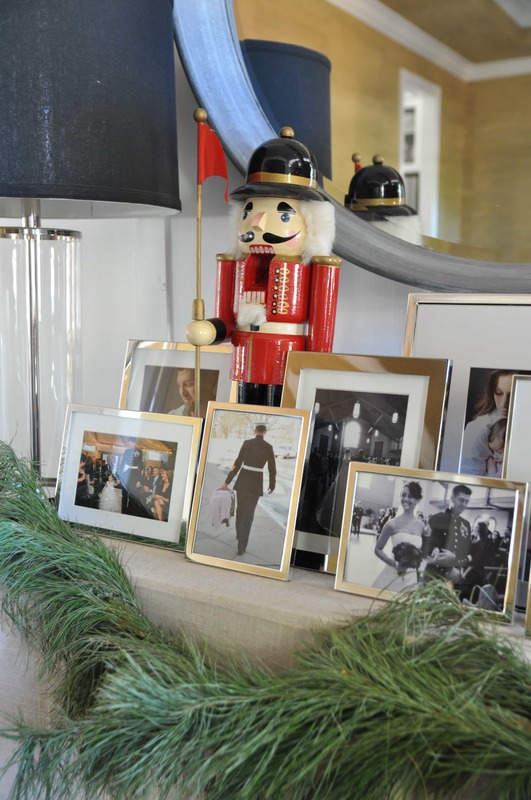 Kelly’s traditions include using the nutcrackers on the table in the foyer. They once belonged to her parents and she remembered growing up with them in her home ever year. Now she carries on that tradition in her holiday decor. She says she buys her children each a silver ornament and they plant paper whites each year. Her daughter loves to check on their growth which we know happens overnight! 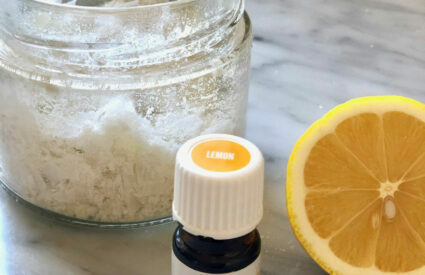 She said she still gets a ton of traffic on her tutorial on whitewashing and dry brushing furniture, but her favorite project is one that she received for Mother’s Day a few years ago. Her husband made her Versailles planters that flank the front door. 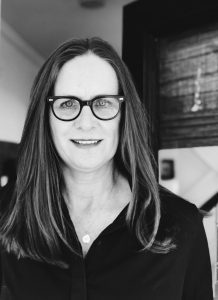 She loves sifting through local thrift and antique shops, but with two little ones, that’s not quite as often now. She loves etsy for art, pillows, and antique accessories. She also shops at Crate & Barrel, Serena & Lily, Anthropologie and of course Home Goods. Traditional with a modern twist. 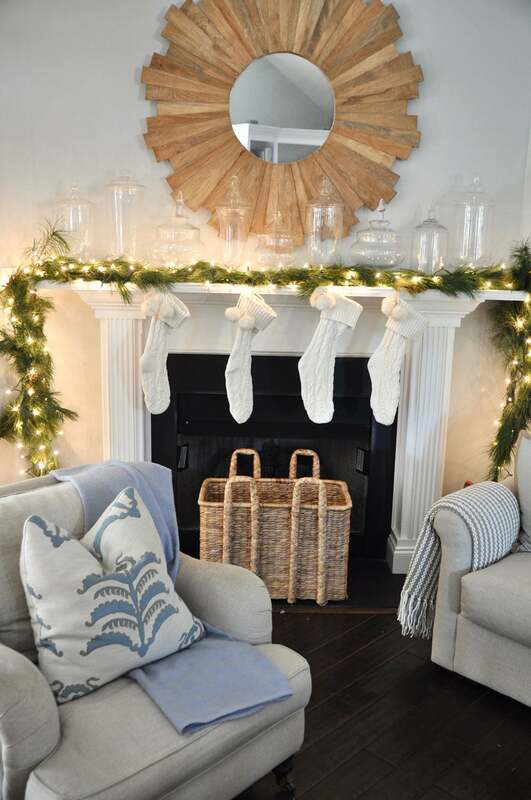 Kelly’s husband is a marine, so she likes to incorporate nautical touches. The two large nautical charts hold special meaning – One is of Lisbon where they met, the other, the Caribbean, their first vacation spot. “Everything!” She loves design books and movies, like Something’s Gotta Give. 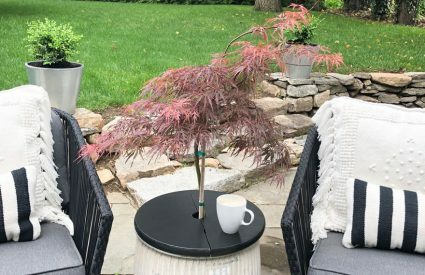 She says she loves everything by Steven Gambrel and is seriously contemplating painting her trim in a high gloss charcoal after seeing a recent instagram post! Thank you Kelly for sharing your house at Christmas! 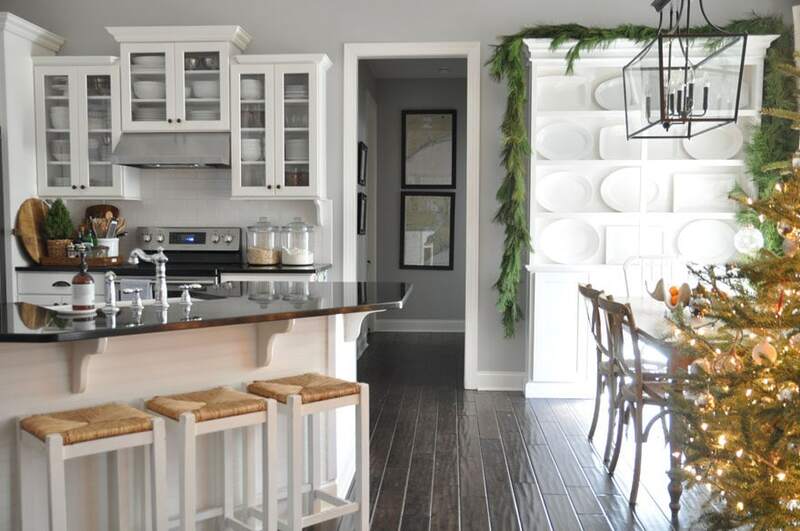 Kelly shared a few sources: Make sure to check out her blog, Bungalow Blue Interiors and her instagram. 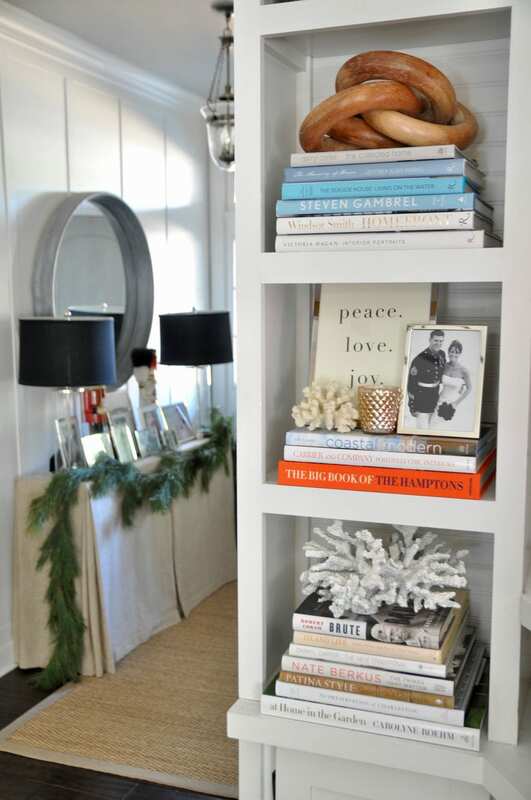 I love Kelly’s style…..and her home is perfection! Me too Sherry! Her style is effortless! I love how Kelly mixes a little bamboo, tortoise with a lot of white and a little blue…always works! 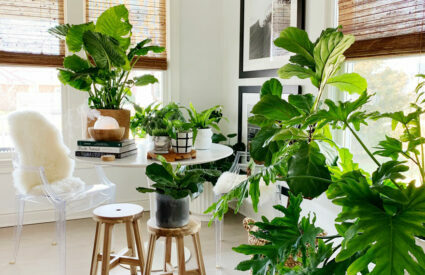 I loved this home tour! 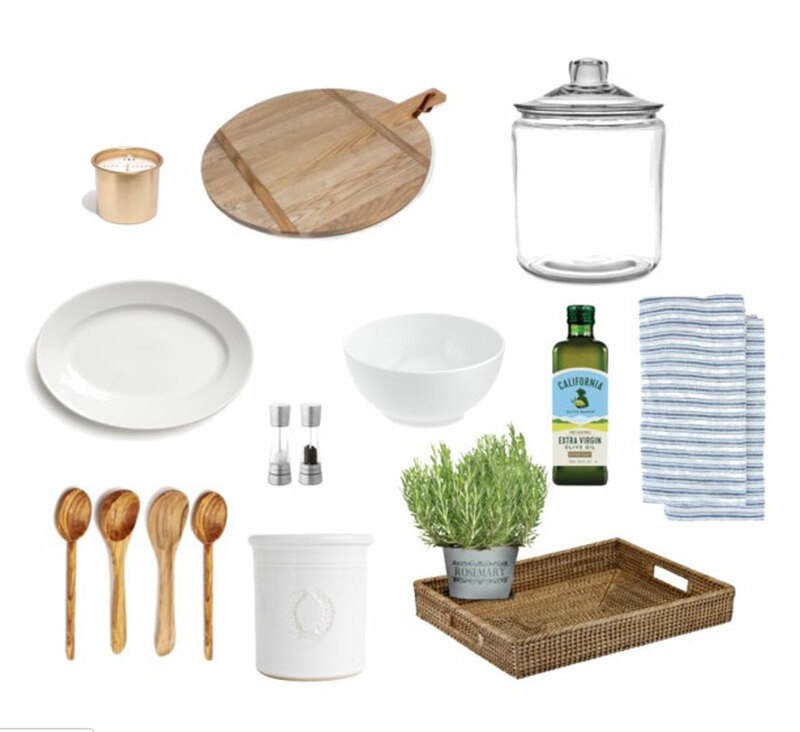 I really love to see the little details that one chooses when making a house a home, like the basket tray in the kitchen holding all of the things she uses to cook. I enjoy going through Kelly’s Instagram photos to see how she’s changed up the contents of the basket with flowers, fruit and other things. I love your kitchen accessories by your stove too, Annie! I love that you notice all the details! It really is what makes a house a home, isn’t it? Happy New Year to you and your family!